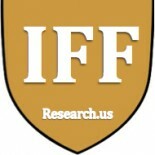 The Institute For Family Research and Development is an online portal project of the Museum of Motherhood. The goal of the project is to disseminate research and education, in collaboration with Students from Dr. Aurelie Athan’s Laboratory On Maternal Psychology Mother Matrix Class, and the annual M.O.M. Academic Conference for the benefit of all. Our aim is to study, develop and elaborate upon a multitude of perspectives in the area of Mother Studies and Family Studies.